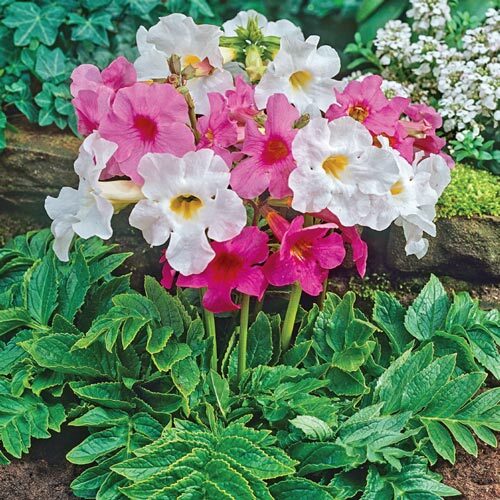 A highly desirable mix of pink and white trumpets are held atop fernlike foliage. With an incredible 12 blooms per stalk, there is plenty of room for all the hummingbirds and butter ies that will flock to this beauty. Provide good drainage. Mulch +/- 2" and lift in fall if you live in zones 3-5 for winter storage. Replant the following spring after frosts are over.